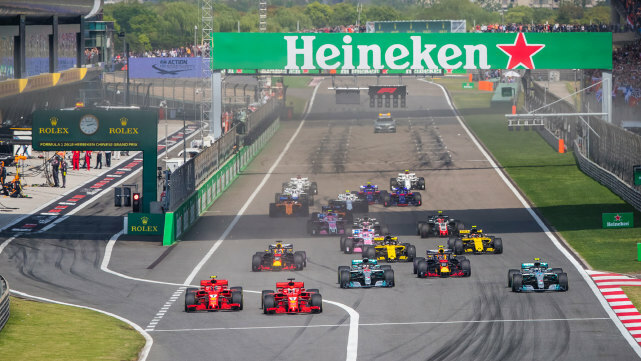 Motorsport fans flocked to the Shanghai Circuit this weekend to catch the 2018 Chinese Grand Prix Formula One Championship. 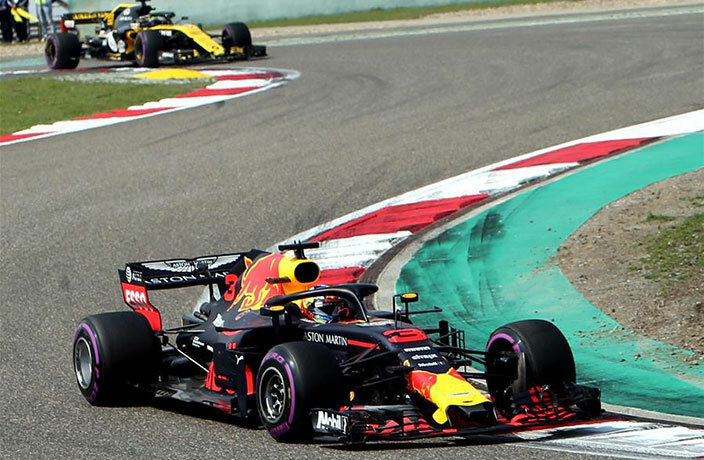 This year's edition saw Aussie Daniel Ricciardo of Red Bull Racing capture a suprising victory after retiring from four of his six most recent races. 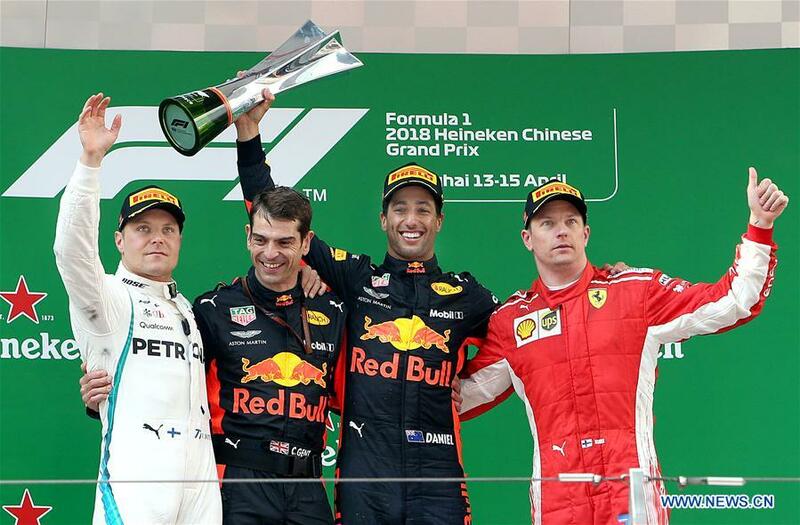 It was his first win in China and his sixth overall. 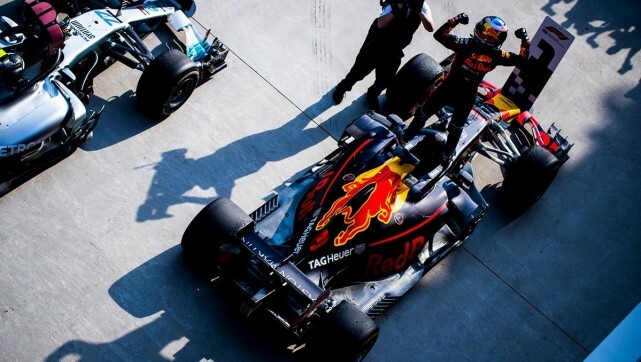 Meanwhile, it was Red Bull's first win in the Middle Kingdom since Sebastian Vettel hoisted the trophy for the team back in 2009. Sadly there were no champagne showers for Mercedes' Lewis Hamilton this year. The reigning wold champion stumbled to fourth place following last year's big showing. Hamilton's teammate Valtteri Bottas took second. Team Ferrari also suffered some setbacks this weekend as Vettel and teammate Kimi Räikkönen, who finished in eighth and third place, respectively. The frontrunner going into F1 weekend, Vettel still sits comfortably atop the overall driver standings with a nine-point lead over Hamilton. In the overall team rankings, Ferrari is now ranked second at just a single point behind Mercedes' 85. Red Bull is in a distant third with 55 points. The young German driver suffered a spinal fracture in the crash. The 940-kilometer-long highway linking Beijing and its neighboring cities is now open to traffic. Muskin' around in Pudong for the inauguration of Telsa's first China factory. Travel to Asia's most glamorous travel destination with this unbeatable deal. Go behind the scenes at the Formula 1. Airports closed and high-speed train rides canceled as heavy snowfall hits central China, which has killed at least one person. See photos from China's military parade, held in Inner Mongolia this past weekend. Sign up to get the entertainment, lifestyle and event news from That's China every week! How Many Chinese UNESCO World Heritage Sites Have You Visited? Scan our QR Code at right or follow us at thatsonline for events, guides, giveaways and much more! Never miss an issue of That's Magazines! Get the App. Your essential China city companion.